iTool is an free application that allow users to backup their messages from Whatapp or Line. In brief, this free application available for Windows and Mac users (English / Chinese Version only). Here the five simple steps to backup apps and records. 1. Click here (PC/Mac) to Download the free app. 3. 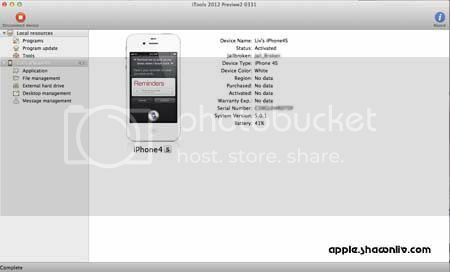 Under iPhone – Select Application and look for the app. Next, right click and select backup. 4. A New message display “Backup record of software/game” – Click Yes to continue. 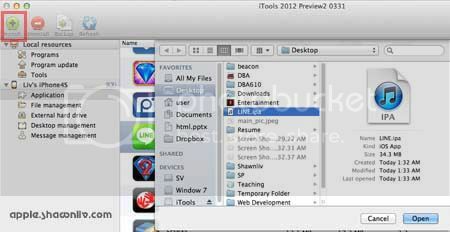 On the other hands, to restore backup – Click on Install button on top left and locate your backup file. In addition, this tool allow users to save games records.